GPS World’s 7th annual Simulator Buyers Guide features tools, devices and software from leading providers. 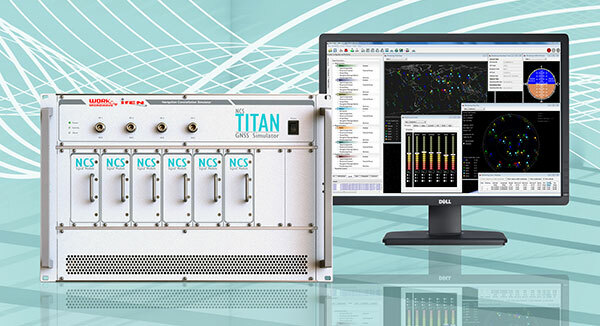 The NCS TITAN GNSS simulator is a leading-edge satellite navigation testing and R&D solution. It is fully capable of multi-constellation and multi-frequency simulation for a wide range of GNSS applications. The NCS TITAN GNSS simulator consists of the TITAN RF signal generation unit and NCS Control Center navigation simulation software (on MS Windows and Linux OS). The NCS TITAN is flexible and offers exceptional performance. 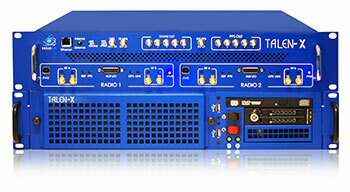 With up to 256 channels and up to 4 RF outputs per chassis, the extra complexity and cost of using additional signal generators or intricate architectures involving several hardware boxes is minimized. For customers with advanced simulation needs, several TITAN units can be combined (CRPA testing with 8, 12 or 16 RF outputs at several frequencies simultaneously). The NCS TITAN GNSS simulator provides all current and future signals for GPS, GLONASS, Galileo, BeiDou, NavIC/IRNSS, QZSS, SBAS L1 and L5 in one box. All signals are available using a flexible licensing scheme. The NavX-NCS Essential is an easy-to-use multi-constellation GNSS simulator focused on R&D, system integration and production testing for single-frequency applications such as consumer, automotive and location-based services (LBS) applications. 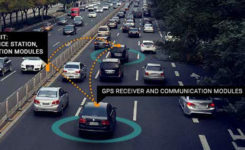 The NavX-NCS Essential provides unique capabilities, including emulating various vehicle motion sensors for today’s multi-sensor vehicle navigation systems. It offers integration with Google Earth (for accurate trajectory visualization), superior high-dynamic range (for indoor and urban canyon simulation) and Assisted-GPS (A-GNSS) performance test case support. 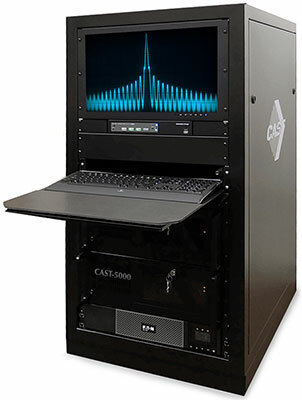 The CLAW simulator operates as a fully stand-alone simulator with multipath simulation capability, external real-time NMEA to GPS-RF transcoding capability, sub 5-ns UTC time-encoding accuracy. 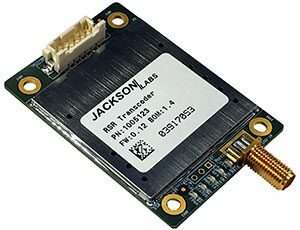 It can work either from internally stored motion files, a fixed-position, externally applied NMEA stimulus input, or controlled via a Jackson Labs Windows application. The CLAW allows comprehensive scenarios to be set up inACKcluding uploading of custom almanac and ephemerides via RINEX import, and full control of simulation time and date making it easy to simulate GPS events such as leap seconds and week 1023 rollover events. The highly accurate simulator can be used as an embedded module to transcode modern GNSS or inertial navigation system (INS) position, navigation and timing signals including SAASM and M-code into legacy GPS RF signals. This capability allows retrofitting any existing legacy GPS receiver to the latest Assured-PNT capability. It can also be used as a GPS firewall to automatically detect and mitigate spoofing and jamming events. The size of a postage stamp, the RSR Transcoder is based on the Jackson Labs CLAW simulator technology and is designed to be integrated into systems requiring retrofit of existing GPS legacy equipment with INS and atomic clock holdover capability, as well as the latest GNSS capability such as Galileo, GLONASS, BeiDou, SAASM, M-code and CSAC technology. Because the RSR Transcoder is fully self-contained, it also can work as a generic stand-alone GPS simulator for manufacturing environments or laboratory use. It is compatible with various external MIL-STD GPS receivers for glueless integration into existing vehicles by replacing the existing GPS antenna with the RSR Transcoder connected to an external GNSS receiver and optional high-performance INS. The RSR Transcoders ability to convert latest-generation GNSS receiver NMEA information into legacy GPS RF signals can also be used to upgrade low-performance legacy GPS receivers with modern –167 dBm and SBAS tracking capability for indoor reception and increased PNT accuracy in challenged environments. LabSat is a cost-effective and intuitive GNSS simulator. New to the LabSat range of GNSS record and replay devices is LabSat 3 Wideband, which continues with the established reliability, cost-effectiveness, and simplicity of operation that are the benchmarks of the LabSat system. Depending on the desired bandwidth, recording resolution can be set to 2, 4, or 6 bit. Check out the GNSS frequency guide on the LabSat website — labsat.co.uk — to see exactly which signals can be recorded and at which resolution. 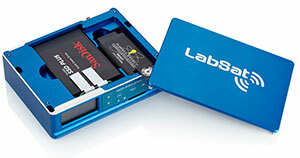 Even with this greatly increased capacity over the original LabSat 3, the new simulator remains extremely easy to use: one-touch recording, no connection to PC required, battery powered for up to two hours, and with a removable 1-TB solid-state hard drive that can be replaced in no time, the LabSat 3 Wideband is convenient to use. It measures a compact 167 x 128 x 46 millimeters and weighs 1.2 kilograms. The LabSat 3 Wideband can now be controlled via a web browser. 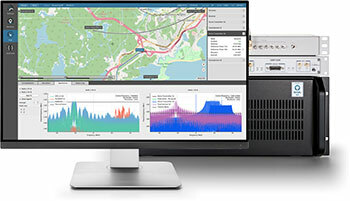 Easily accessed via the Ethernet connection, the HTML interface graphically displays bandwidth, center frequency and signal capture. An online demonstration of this is also available on the LabSat website. Generic hardware enables users to repurpose their equipment for different projects. SDX is ideal for design and validation of GNSS receivers, complex integration, academic research, NAVWAR and test engineering. Applications include radiated emissions testing in anechoic chambers, CRPA testing, receiver testing under interference (jamming and spoofing), aerospace and automotive scenarios, RTK and more. Skydel engineering and research teams offer direct support to clients to ensure prompt deployment and integration, or to review advanced customization requirements. Spirent Federal provides test equipment that covers all applications, including research and development, integration/verification and production testing. in RF signal iteration rate (SIR) over Spirent’s GSS8000 simulator. 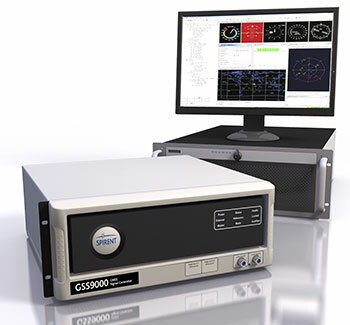 The GSS9000 SIR is 1000 Hz (1 ms), enabling higher dynamic simulations with more accuracy and fidelity. It includes support for restricted and classified signals as well as advanced capabilities for ultra-high dynamics. Users can evaluate the resilience of navigation systems to interference and spoofing attacks, and have the flexibility to reconfigure constellations, channels and frequencies between test runs or test cases. Spirent’s Controlled Reception Pattern Antenna (CRPA) Test System generates both GNSS and interference signals. Users can control multiple antenna elements. Null-steering and space/time adaptive CRPA testing are both supported by this comprehensive approach. The GSS6450 RF Record Playback System (RPS) takes RF recording and playback systems to a new level of performance and flexibility, while being housed in a small (8.5 x 7.8 x 3 inch) portable case. The GSS6450 can record any GNSS signals currently available with bit depths up to 16 bits (I&Q) and bandwidths of up to 50 MHz. The flexible product structure allows the system complexity to grow with the user’s testing needs. The GSS200D is an end-to-end solution that builds up a complete picture of interference activity at the site of interest. It continuously monitors the GNSS frequency bands for interference, and then captures them for analysis. 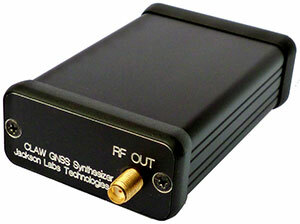 The GSS200D supports multi-frequency applications. Constellator is a high-end GNSS simulator capable of supporting all constellation signals available today and tomorrow and providing a high level of service: standalone mode (on ground and in space), hardware-in-the-loop mode with very small latency and high internal frequency update (1 kHz), multi-frequency, up to 200 channels, all typical synchronization interfaces, and the ability to generate any additional signal for realistic simulation (jamming, spoofing, multipath, etc.). 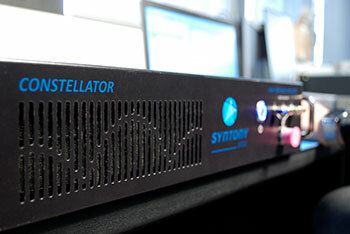 The Constellator product is available in different ranges, from an entry-level unit supporting L1C/A up to a six-signal-frequencies/200 channels rack, supporting the most demanding configurations. Constellator is used extensively in the aeronautic, space and defense industries, where the requirements are highly demanding. Constellator has been carefully evaluated and selected by major industrial companies and agencies worldwide, and is used to test aircraft receivers, spacecraft, launchers and similar systems for defense and armies. Particularly in the space domain, Constellator implements the most accurate models (earth gravity, drag, etc.) needed to achieve “meter-precision” in standalone mode around a complete orbit. Constellator is based on modern, powerful software-defined radio (SDR) systems, which make it capable of extreme adaptability and upgradeability after purchase, even without any hardware upgrade. Though a high-end simulator, it is cost-effective because of its software-based architecture; instead of requiring one RF stage per signal, it requires just one per frequency band used. The Echo Record and Playback unit allows users to record real-life signals and environments and replay them in the laboratory, which is always more realistic than any simulation. Echo is typically used to replay predefined complex and very long realistic scenarios, avoiding the need to use costly satellite simulators for long-run tests or for production tests. Echo offers three RF channels of 100-Mhz bandwidth each, 16 bits I, 16 bits Q, and more than 10 hours of record and replay duration. As such, it is high-end record/replay equipment, offering high-end replay fidelity. For users responsible for mission-critical positioning, navigation and timing (PNT) applications, the Spectracom GSG series of GPS/GNSS simulators is an essential tool to evaluate risk of jamming, spoofing or other threats. Spectracom GSG-5/6 series simulators are an easy-to-use and feature-rich way to harden GPS-based systems without the limitations of testing from “live sky” signals. The Spectracom platform approach allows users to buy only what they need today and upgrade later. The adaptability of the GNSS RF generation platform can extend to applications for intelligent repeating. 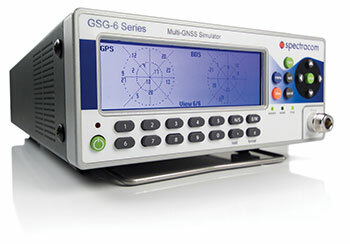 The GSG-6 Series 64-channel multi-frequency, advanced GNSS simulator is powerful enough for any cutting-edge test program. GPS, GLONASS, Galileo, Beidou, QZSS and NAVIC (IRNSS) signals are available across multiple frequencies. It is designed for military, research and professional applications. The GSG-5 Series 16-channel multi-constellation L1-band GNSS simulator is designed for commercial development/integration programs. For users developing commercial products with GNSS capability, the GSG-5 will shorten test programs with confidence. The GSG-51 single-channel signal generator is designed for one purpose — fast, simple go/no-go manufacturing test and validation, ensuring the manufacturing line is operating at full capacity with confidence in quality.